In 1998 the Vilna Gaon State Jewish Museum and the Anne Frank House in Amsterdam began a joint campaign of public education on tolerance and the Holocaust. The mobile exhibit “Anne Frank: History for Today” was shown. Following public interest, the Vilna Gaon Jewish State Museum hosted another at first mobile but now permanent exhibition at the Museum‘s Tolerance Center, documenting the historical ties between Jews and Lithuanians, historical and cultural dimensions of the Jewish community, the course of the Holocaust in Lithuanian and anti-Semitism today. The exhibit Jewish Life in Lithuania includes 28 stands telling the story of the Jews, from the settlement of the very first communities in the current and historical territories of Lithuania to current events. 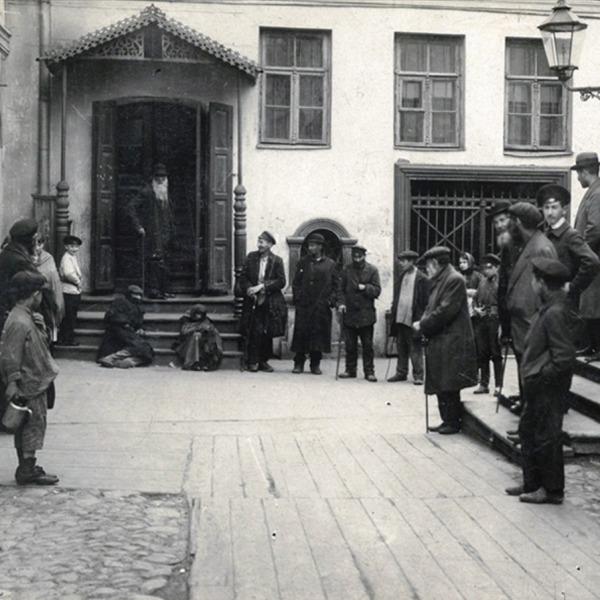 The main aspects of the life of the Jewish community are sketched in the Lithuanian Grand Duchy, the 19th century, the early 20th century and independent inter-war Lithuania. The painful facts of the Holocaust and genocide, the history of the community in the Soviet period and the development of Jewish life in the newly independent Lithuania are presented. The exhibit provides a view of the features of shtetl life, including daily life and cultural, scientific and political achievements. Visitors have the opportunity to learn of the unique world of the Litvaks and the historical circumstances that gave rise to that world. The Second World War took the lives of more than 94 percent of Jews within the current borders of Lithuania. The Litvak civilization was lost along with them. The exhibit is aimed at providing knowledge of the present and past of the Jews of Lithuania, a conscientious view of the past that doesn’t allow us to forget the relatively recent atrocities of war and a stimulus to encouraging tolerance in Lithuanian society of today. The exhibit has travelled to several Lithuanian towns where it was shown in museums, schools and other places. It lived up to the educational concept which gave it birth, that is, to acquaint and educate Lithuanian adolescents about the history of the Jewish community and the evils of anti-Semitism, and to stimulate rethinking of racist stereotypes which still have currency in society. The catalogue Žydų gyvenimas Lietuvoje [Jewish Life in Lithuania] published in 2001 provides pictures and more comprehensive information to complement the exhibit.